Around mid-February this year, a rumour did the rounds on social media and film-sites that a certain lost classic film had indeed been found. Or to be more correct, the headline was click-bait and the generally short article which followed was a rumour about a rumour that a certain lost classic film had been found. Nothing substantiated and the same oft-repeated story that is recycled every so often spoke about a print in Spain (or was it Cuba?) or a private collector in possession of a print who just before releasing it, decides against it and thus the story leaves a haze of smoke (excuse the poor joke) before we all move on. There are a number of lost films which gather the excitement of film fans and in some cases the excitement is warranted. A good example is the recently restored version of Fritz Lang’s Metropolis (1927), which is considered almost fully restored after a damaged print of Lang’s complete film was found in an Argentinian museum. But versions of the film had been around previously and it was not a totally lost film. A film like Erich von Stroheim’s 1922 epic Greed has become legendary for its’ missing footage which reportedly runs into hours and the final MGM cut was not in line with von Stroheim’s vision. Again, rumours of missing footage surface from time to time – all proving false. There are countless other films, particularly from the silent era, which are considered lost and perhaps, sadly, always will be. So when the rumour arose earlier this year that Tod Browning’s London After Midnight (1927) had emerged, the ardour of fans was cautioned by the usual disappointment that follows. Like Greed and a number of other lost films, London After Midnight has been dubbed the ‘holy Grail’ of lost films – a term almost clichéd, as I have the distinct feeling that if it is ever discovered, the initial excitement of film fans will soon become muted. London After Midnight was destroyed, along with hundreds of other films, in the MGM vault fire of 1967. Ironically, MGM was perhaps the only studio that worked to preserve its’ films, using contemporary technology to protect the original nitrates as well as convert them to safer film. Many of the other studios tragically allowed their film stock to crumble and even disposed of them. At any rate, London After Midnight was only one film among many that were destroyed. This article will not endeavour to outline the plot in detail and nor review the ‘restoration’, which is a 45 minute collection of stills and promotional images. Nevertheless, the film is perhaps more correctly defined as a thriller/mystery, going by contemporary reviews. Lon Chaney Snr plays Inspector Burke of Scotland Yard, who is investigating a death that five years earlier had been designated a suicide. The house in which the victim died has new tenants who are spooked by two eerie and frightening figures, having the appearance of a vampire and his undead companion, Luna (Edna Tichenor). But as the story unfolds, the audience discovers that the spooky goings-on are all part of an elaborate plan to uncover the truth behind the death and the ‘vampire’ is actually Inspector Burke in disguise and Luna is an actress from the theatre. In the end, hypnosis is used to discover the killer by inducing him to re-enact the crime. If you’re confused by the storyline, you’re not alone and some film historians are even more confused as to why the film is so highly sought after. Yet the news that London After Midnight was lost saw its’ legendary status take root in the imagination of film historians and movie buffs. So why has it received such legendary status? The film’s destruction occurred at a time when there had been a resurgence of interest in classic films, with quite a number of films being shown on television for the first time in years. Additionally, classic horror films had regained their popularity, assisted in great part by fanzines and popular monster movie magazines such as ‘Famous Monsters Of Filmland’. The great Lon Chaney Snr was in some ways a star all over again and his ability to play a variety of roles was certainly a point of interest; in this case particularly featuring Chaney in a dual role. The incredibly striking images of Chaney as a vampire which appeared in such magazines, naturally stirred horror films fans to want to see the legendary Chaney in that very film. Indeed, the make-up used by Chaney is haunting and creepy, and certainly matches his efforts from The Phantom Of The Opera (1925). The rows of sharp teeth, fixed in a permanent smile of death coupled with a pair of dead, drooping eyes staring at the audience, still evokes emotions of dread, terror and repulsion. Stooping and leering at Edna Tichenor in beaver hat, evening dress and bat-winged cape all still remain powerful images for horror film fans and even moreso because they are all we have due to the status of the film as lost. Along with horror film magazines, the many horror film books also published over the years by authors such as Alan Frank have also discussed the film, further adding to its’ legendary status. With Chaney’s deserved reputation as a legend of film, and his place in horror film history assured, his only film role as a vampire would certainly be fascinating both to horror film buffs and students of classic film. After all, it would be one of the first films after Nosferatu (1922) to depict a vampire in such an explicitly terrifying way (notwithstanding the fact that Chaney is playing someone disguised as a vampire). Furthermore, those who saw the film upon its’ release have all passed on and any contemporary accounts of the film are left to the reviews from critics. But negative criticisms have tended to be drowned out or muted as the generation that made those critiques and/or originally viewed the film are long since dead. All that is left is the legend and the myth. Added to this is the fact that the generations holding a torch for the film grew up believing in the legend and have thus carried those impressions into the present. And of course, the primary reason for seeing it would be the star of the film – Lon Chaney Snr. By the time the film was made, he was one of Hollywood’s greatest stars and indeed a name known the world over. It would be a fatal mistake to assume that his stardom was due to his abilities with make-up in creating startling characters. On the contrary, the pathos and emotion of the characters Chaney portrayed on the screen transcended make-up and his screen presence is as potent today as it was during the silent era. So why would the film disappoint? By all reports, London After Midnight was a decent earner for MGM in 1927 but it was not a tearaway success and critics at the time were not particularly kind to the film. 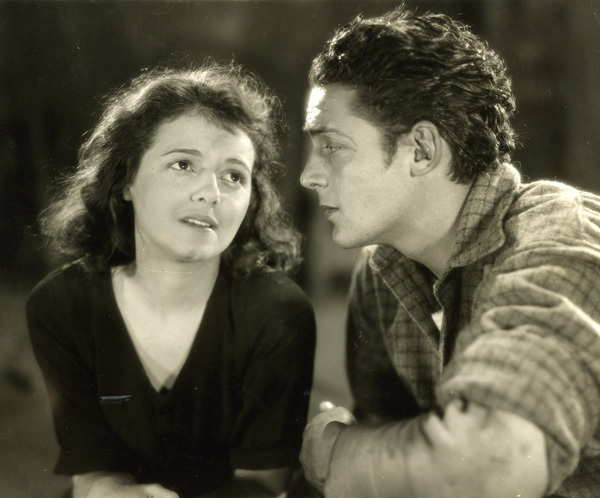 Soister and Nicolella in American Silent Horror, Science Fiction and Fantasy Feature Films, 1913-1929 (2012) point out that critics saw the story lines as ‘nonsensical’ and Variety did not rate the film highly, calling Chaney ‘just fair’ in the role, adding that it was ‘not much of a drawing card’. The New York Times was lukewarm in its’ appraisal, also calling the storyline ‘incoherent’ and it didn’t seem impressed by Chaney’s ‘uncanny disguise’. Film historians such as William K. Everson have shown greater control and offered critical discussion when discussing the film and make the point that it’s reputation had been blown all out of proportion, particularly by horror film publications geared towards mass consumption by the kiddie and teen markets. As a result, London After Midnight is a film that is perhaps more enigmatic than it deserves to be, if we go by contemporary critics. Our own childhood memories of films are sometimes turned sour upon viewing them as adults and the magic seems to have departed. A viewing of London After Midnight could very well have a similar effect. Additionally, the film is often mentioned in the same breath as The Phantom Of The Opera (1925) and Paul Leni’s The Cat And The Canary (1927) because of their prosaic endings, as pointed out by Olaf Brill in Expressionism in the Cinema. American audiences at the time would simply not accept supernatural films, in the same way that European audiences did. Whilst much is made about Browning’s ‘cheat ending’, in context audiences at the time may not have been so disappointed. When comparing to the Browning remake of 1935’s Mark Of The Vampire with Bela Lugosi, audiences had made that jump into accepting the supernatural primarily because of the Universal horror cycle of the early 1930s –and ironically it was Browning’s 1931 classic Dracula which started it all. It makes sense that a 1935 audience would have felt ‘cheated’ but what does that mean for today’s audience viewing London After Midnight, after decades of conditioning to accept otherwise and then some? The existing and remaining stills are certainly thrilling and capture our imagination and it is only natural that we want to see more. But what are we seeing? Are we imposing our own predisposed notions upon those stills, fuelled by our long-held desire to see a lost classic? They are images that promise much but can they deliver? Such a claim does not inspire confidence! As much as other classic film fans, I would still be thrilled and terribly excited to see a re-discovered London After Midnight. The prospect of seeing those famous stills come to life after decades of being captivated by them would be too enticing to ignore. But I fear that if it is re-discovered, for all the brilliance of Lon Chaney Snr, it will not be the classic that we are anticipating. 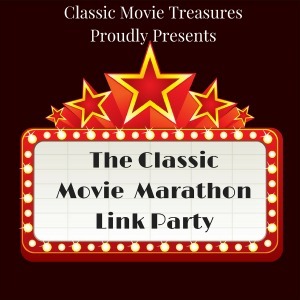 This article is a part of the 2018 Lon Chaney Snr Blogathon hosted by Maddy Loves Her Classic Films – https://maddylovesherclassicfilms.wordpress.com/2018/05/05/the-lon-chaney-sr-blogathon-day-one/ and Silver Screenings – https://silverscreenings.org/2018/05/06/the-lon-chaney-sr-blogathon-day-two/. Please click on the links for other great articles on the legendary Lon Chaney Snr. Yes, I agree. For us to see the film now, after all the hype and speculation, could mean bitter disappointment. I didn’t realize the critics weren’t wild about this film, so that was a surprise. It does, however, speak to the power of imagery; Chaney’s appearance in the stills is truly unforgettable. Thank you for joining our blogathon and for presenting us with an insightful and well-researched look at “London After Midnight”. I always learn something when I come here. Thank you so much for letting me take part – I appreciate it very much. The film’s legacy and mythical status certainly reflects the power of imagery, as you correctly point out.I can still remember seeing those stills as a kid and they have haunted me ever since! If it’s ever found, I know I will be watching it but part of me wants to hold onto the magic of those stills – I guess it’s like not wanting to see the wizard behind the curtain. Even as a fan of those who toil in comic relief, I got a little fed up at points in Mark of the Vampire. Would I be any more forgiving of Ms. Moran in a restored London After Midnight? I would not like to test myself. I would not be able to resist viewing it – in the event of it finally emerging in full. But from chances that some of the intrigue and mystique will be lost. Oh well! Thanks for taking part, Paul. This is an excellent article about a real lost Silent treasure. I agree with you that there was so much more to Lon than his stunning make-up. He could make audiences feel his characters plight and desires like no other actor ever has. Lon’s creepy make-up for this role is startling, the photos alone freak me out, so I don’t know what I’d be like watching the actual film! I think that like with any lost film, the audience expectation for the quality of this one may be a little too high. I fear that people might build this one up in their mind and may end up disappointed with the finished film. Had Chaney lived past 1930, I have no doubt that he would have been Tod Browning’s go to actor for Dracula. As much as I love Bela Lugosi in the role,I am so curious about how Lon would played the famous fanged count. I have a hunch his take wouldn’t have been as smooth and charming as Bela’s is. 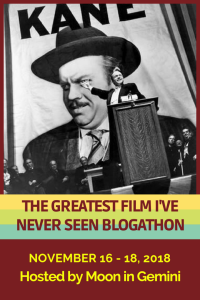 Thanks so much Maddy – and I appreciate the opportunity to take part on this blogathon. The images of Chaney in that make-up have haunted me since I first saw them as a kid back in the 1970s. They are incredibly creepy and even terrifying. But yes, the buildup of fear would dissipate – it seems that the critics didn’t think much of it back then and what very limited evidence we have from those who saw it, it’s not much of film. I also agree that Chaney would have been Browning’s go to had he lived on. And yes, for all the respect I have for Chaney, I don’t know if he would have brought that dark fairy-tale element to the screen in the way Bela did. What a great read! An well-written, insightful, and thoughtful approach to what might happen should the film ever reappear. By the way, the other “holy grail” of lost silents has to be Murnau’s “4 Devils” which, if found, might prove a better discovery since it was largely praised by critics upon its 1928 release.